Looking for a legal way to watch NBA playoffs online without cable? Check out the best ways to enjoy an NBA playoffs live stream so you don't miss a moment! At the beginning of the season, we were all saying, “Okay, the Rockets can get hot from time to time, LeBron is LeBron, but the Warriors will still wipe the floor with everybody.” Fast forward to where we are now, and it’s harder and harder to predict how the NBA playoffs will play out. The Raptors look like a serious threat in the east, the Warriors seem vulnerable, and really anything could happen. Only one thing’s for sure—it’s going to be a fun year to watch the NBA playoffs. There are a lot of games to watch, and we’ll tell you everything you need to know to stream the NBA playoffs online. Here’s a pro tip for watching the NBA playoff games on ABC—you can watch them on the WatchESPN app. This is extremely convenient because in order to stream ABC, you have to live in a supported market, but the WatchESPN app lets you watch NBA playoff games regardless of where you live. All you need is an internet connection and streaming or cable credentials. Fortunately, all the streaming services we’re recommending here work with the WatchESPN app. Just enter your account information when the app prompts you, and you can watch all the ESPN and ABC games you want. Where can I watch the NBA playoffs on the WatchESPN app? The WatchESPN app is available on pretty much any streaming device you can think of—Apple TV, Roku, Chromecast, as well as mobile devices and video game consoles. There are other streaming services out there, like Hulu with Live TV and fuboTV, but they don’t have all the channels you need to stream the NBA playoffs—specifically, Hulu is missing NBA TV, and fuboTV is missing ABC and ESPN. With Sling TV, you won’t get as many channels as other streaming options give you, but you’ll still get what you need to stream the NBA playoffs. You can try out Sling TV and watch the NBA finals for free with a 7-day trial. You’ve got two packages to choose from with Sling TV, but you’ll want the Sling Orange package to watch the NBA playoffs. It gives you ESPN, TNT, and more than 30 other channels for $20 a month. Unfortunately, Sling Orange doesn’t carry NBA TV—that’s where the Sports Extra add-on comes into play. It’ll cost you an extra $5 a month (for a total of $25 a month) and get you NBA TV, ESPN U, ESPN News, and 10 other sports channels. But if the yearly NBA TV matchup doesn’t interest you, you can always go without the Sports Extra add-on. You don’t get any local channel coverage with Sling Orange, but here’s the thing—you won’t need it with the WatchESPN app, which streams all the NBA playoff games on ABC. Download the app on any of your devices (it’s compatible with pretty much everything), enter your Sling TV account info, and you’ll be streaming the NBA playoffs in no time. What’s the Sling TV experience like? Sling TV doesn’t have the best streaming quality out there, but it’s certainly good enough. Unlike PlayStation Vue or YouTube TV, your Sling TV stream may occasionally fall a few seconds behind real time, and if you have an internet speed below 15 Mbps, you’ll likely run into some buffering. The last thing you want is a spotty stream during the NBA playoffs, but if you’ve got solid internet speed, you should avoid most of these issues. There’s always a catch with super cheap prices, and Sling TV’s is that cloud DVR costs extra. We never like things that cost extra, but even if you add the cloud DVR for an extra $5 a month, Sling TV is still cheaper than your other options. Considering there are tons of playoff games to enjoy, it’s probably worth paying the extra few bucks a month for the 50 hours of cloud DVR storage. Sling TV is compatible with the most streaming devices of any streaming service, so you shouldn’t have any problem watching the NBA playoffs. YouTube TV’s unlimited DVR and smooth interface make it the easiest way to watch the NBA playoffs. If you time it right, you can watch the NBA playoffs for free with a 7-day trial. For $40 a month, YouTube TV offers ABC, ESPN, NBA TV, and TNT, along with more than 60 other channels. Before you ask, yes, YouTube TV does work with WatchESPN, but you might not even need to use it. YouTube has over 75 ABC affiliates, so there’s a pretty decent chance you’ll be able to stream ABC in your area straight from YouTube TV. Of course, if you don’t get ABC in your area yet, you can always go the WatchESPN route and watch the games on ABC that way. Every cord-cutter knows watching TV is so much easier when you have cloud DVR. And fortunately, your YouTube TV subscription comes with unlimited cloud DVR storage, meaning you can record all the NBA playoff games and watch them whenever you want. Let’s get real—there are tons of playoff games. Cloud DVR will definitely come in handy. If you’ve got an eye for detail, YouTube TV offers some of the best streaming quality we’ve seen. We tested out YouTube TV watching a recent matchup between the Oklahoma City Thunder and the Portland Trailblazers (spoiler: Damian Lillard made sure the Trailblazers won), and you could vividly see the intensity in Russell Westbrook’s eyes. Head’s up—everything you record on your YouTube TV DVR has an expiration date of nine months. After that, your content gets deleted. No doubt YouTube TV’s biggest weakness is its lack of device support. You can stream the NBA playoffs on YouTube TV with an Apple TV, a Chromecast, your phone, or your internet browser. Don’t worry—you don’t need a PlayStation console to stream the NBA playoffs.  In fact, PlayStation Vue is compatible with pretty much every streaming device (that isn’t called an Xbox). You can watch the NBA playoffs for free with PlayStation Vue’s 14-day trial. PlayStation Vue has a couple of different packages to choose from, and we’d recommend going with the Core package for $44.99 a month. It’s the cheapest package that offers ABC, ESPN, NBA TV, and TNT, plus over 60 other channels. If you want to shave a few bucks off of your streaming bill, you can opt for the cheapest PlayStation Vue Access package. You’ll miss out on NBA TV, but if you don’t care about the NBA TV matchup, you still get ABC, ESPN, and TNT. We’ve tried all the other streaming services out there, and we can say pretty confidently that PlayStation Vue offers one of the best streaming qualities we’ve seen. We’ve been watching the NBA on TNT and ESPN all season long with PlayStation Vue, and the stream constantly stays smooth and doesn’t fall behind real time. Like YouTube TV, PlayStation Vue has an unlimited cloud DVR. The catch with PlayStation Vue is that your recorded content deletes after 28 days. You probably won’t go that long without watching the games anyway, so that might not really matter. But for all your other TV recordings, try your best to stay on top of everything. You can stream the NBA playoffs with PlayStation Vue on most of the major devices. It’s the only streaming service that you can use with a PlayStation console. If you’re the type of cord-cutter who misses the simple joy of flipping through channels during the game’s commercial breaks, DIRECTV NOW might be a great fit for you. Try out DIRECTV NOW and watch the NBA playoffs for free with a 7-day trial. Here’s the thing about DIRECTV NOW—the cheapest package that includes NBA TV as well as ABC, ESPN, and TNT costs $60 a month and comes with over 100 channels total. That’s a lot of channels for a pretty good price. But considering most people cut the cord specifically so they can pay for fewer channels, DIRECTV NOW might not be your jam. There is a way cheaper way to watch the NBA playoffs with DIRECTV NOW, though. The cheapest package, Live a Little, costs $35 a month and comes with ABC, ESPN, TNT, and 60 other channels. The problem is there’s no NBA TV, which is a big bummer if you’re a fan of either of the teams playing the token NBA TV series. However, if you couldn’t care less about the NBA TV matchup, go with the cheaper option. As it stands right now, DIRECTV NOW doesn’t have cloud DVR, and that won’t change before the NBA playoffs start. So, you’ll have to plan on watching all the playoff games live. It’s pretty disappointing that DIRECTV NOW doesn’t have any cloud DVR, and we wouldn’t blame you if that ended up being a dealbreaker. But if you’re all about live games, this service is definitely a viable option. As for streaming quality, DIRECTV NOW isn’t on the same level as a PlayStation Vue or YouTube TV. We occasionally experienced issues with DIRECTV NOW’s stream falling several seconds behind real time, which can make a world of difference when you’re live-tweeting your favorite sports. You can stream the NBA playoffs on DIRECTV NOW with pretty much any device (that isn’t a video game console). ABC is the only network TV station that is airing playoff basketball without cable. Many games throughout the playoffs, including the NBA Finals, will air on ABC. That means that with an antenna like the Mohu Leaf or the Winegard FlatWave you can get all ABC games aired in high quality HD. Check out our complete guide to choosing the best TV antenna. And with a DVR like the Tablo, you can record all the ABC games and play them back at your convenience. You can also pause the games live, as well as skip commercials. It’s another way to enjoy the NBA playoffs streaming. Our DVR comparison guide has more info. Can I Watch NBA Playoffs Online with NBA League Pass? Luckily, just within the last year, options for NBA fans have grown. It’s now legally possible for us to watch the NBA playoffs online live without cable, and without a service like NBA League Pass. The 2018 NBA playoffs are starting soon, and it feels like change might be in the air (at least in the Eastern Conference). We’ve got a good feeling the Toronto Raptors will make it in the finals this year. Sure, they’ve lost to LeBron year after year, but now it seems like something’s changed, and DeMar DeRozan looks ready to go toe-to-toe with LeBron James. In the Western Conference, we’ve got the Warriors (despite the injuries). Predictable, we know. But come on, they’re the Warriors. Now it’s time for you to decide how you’re going to stream the NBA playoffs online. We’ve laid out the best streaming options, so let us know which one you decide to go with. Leave us a comment about your experience, or if you have any questions, drop them in the box below.